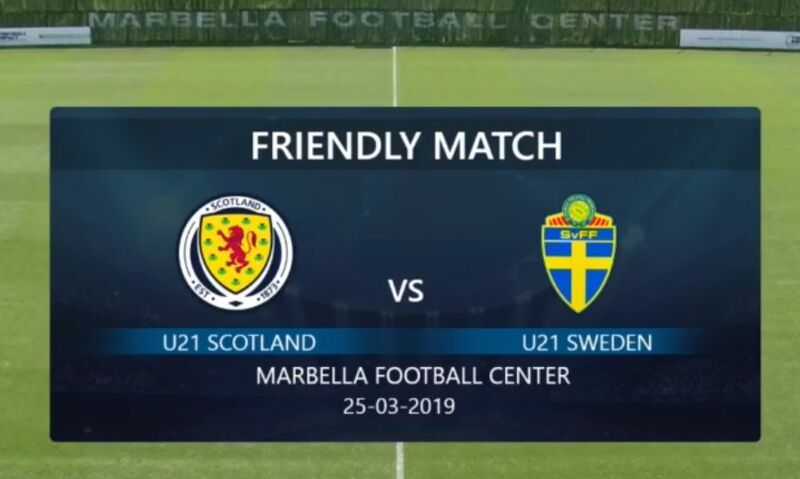 Scotland U21s lost 2-1 to Sweden in a Monday lunchtime friendly in sunny Marbella. Barry Maguire and Allan Campbell were in the staring eleven with David Turnbull and Jake Hastie joining in the second half. The Swedes took an early lead with an unchallenged header following a simple crossed ball. Maguire seemed to give his man too much room as we conceded but the tall defender made amends midway through the first half when he popped up in the six yard box to score off the 'keeper to level the game. The Scots fell behind in 37 minutes and the half time score fairly reflected the balance of play. Jake Hastie joined game as the second period stared and David Turnbull joined the proceedings twenty minutes later. Neither team was able to add to their tally and the game ended with a 2-1 victory to the Swedes. The week in Spain gave the Motherwell quartet a break from the chill of March at home and extends their experience of foreign opposition. They will return to domestic duties this weekend. Motherwell face St Johnstone at Fir Park while Maguire will travel to Dundee to face United with Queen of the South.